California can't set immigration policy. 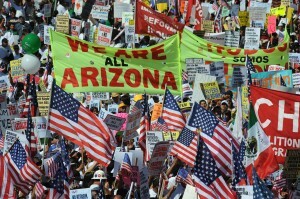 That's the bottom line for Californians seeking to understand how their state could be affected by the U.S. Supreme Court's ruling on Arizona's immigration law, according to Kevin Johnson, dean of the University of California, Davis School of Law. 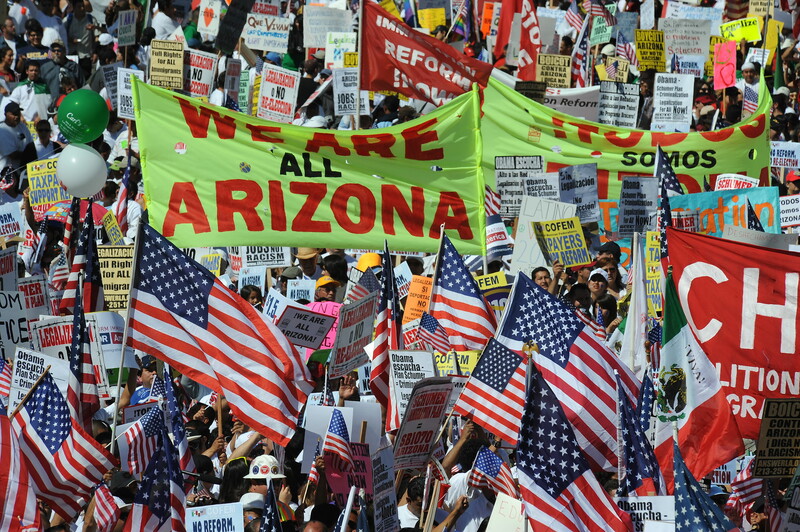 The high court struck down parts of the Arizona law that authorized police to arrest undocumented immigrants without a warrant, required "unauthorized immigrants" to carry identification papers, and forbid anyone not authorized to work in the United States from seeking a job. The court left left untouched for now a provision that allows police to check the immigration status of anyone they stop. But it held open the door to a future review of that provision, which critics say encourages racial profiling. California wasn't likely to have passed a similar law, Johnson told KQED's Scott Shafer. This state "learned its lesson" when a U.S. district court struck down Proposition 187, which would have stopped undocumented immigrants from using health care, public education, and other social services in California. Also Latinos have increased their clout in the state, since the 1990s, Johnson pointed out. "I do think California also learned a political lesson," he told KQED's Scott Shafer, citing the example of former Gov. Pete Wilson. "Pete Wilson was a big proponent of Prop. 187. You don’t see Pete Wilson at very many Republican National Conventions anymore, or involved in Republican politics at all. He became sort of the poster child for what happens if you alienate Latino voters when Latino voters are increasingly becoming part of the electorate." But California will be affected because the ruling, along with president Obama's recent decision to relax deportation of young illegal immigrants, has refocused public attention on the need for immigration reform at the federal level, Johnson said. "What that entails, different people would debate, but almost all say we need something different from what we have when it comes to immigration." Still, Californians are not dropping the issue of immigration. A bill sponsored by State Assemblymember Tom Ammiano (D-San Francisco), the TRUST Act (AB 1081), would require local police to release people who have been arrested once they have posted bond or served their sentences -- even if federal officials have asked that they be held. The bill TRUST Act passed out of the Senate Public Safety Committee on June 12. It is a response to Obama administration’s Secure Communities program, in which immigration authorities check the residency status of everyone booked into local jails, and ask local authorities to hold illegal immigrants for deportation. In the wake of the Supreme Court's ruling, immigration rights activists called on California Attorney General Kama Harris to support the TRUST Act. Harris sent out her own press release, praising the Supreme Court's ruling. Her statement said nothing about the TRUST act.